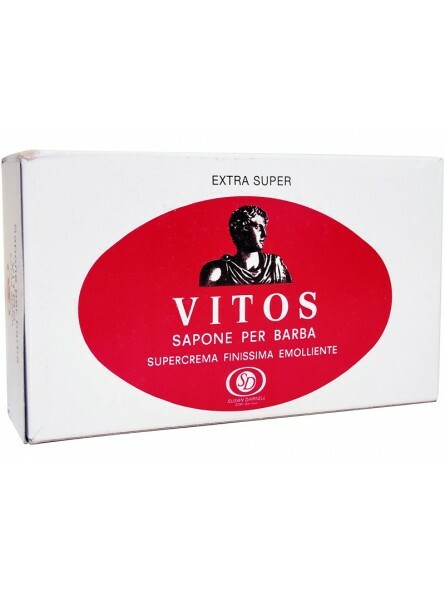 Vitos Shaving Soap Glycerin Extra Super "Sapone da barba" 1KG. 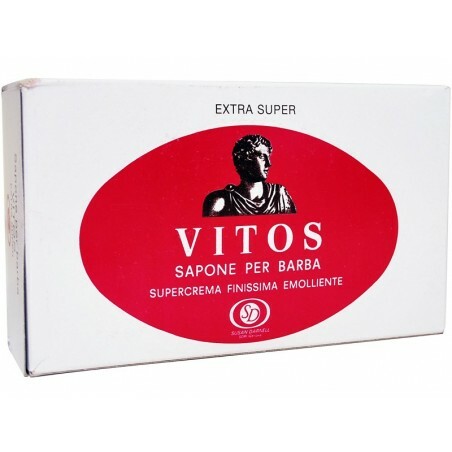 Vitos Shaving soap Extra Super (Vitos sapone per barba) is an ancient tallow based formula. It has a morbid texture, it’s not a hard shaving soap but a “soft” shaving soap. Almond scent soap that creates a protective and moisturizing leather. The difference between Vitos Extra Super shaving soap and regular Vitos Shaving Soap (green packaging) is the glycerin ingredient. Extra Super contains glycerin which is known for its lubricating properties which facilitate blade sliding while shaving avoiding skin irritation. 1kg format is ideal for professionals or to share with friends. Ingredients; stearic acid, hydrogenated tallow, water, potassium hydroxide, glycerin, sodium hydroxide, sodium hexametaphosphate, talc, benzaldehide, glycerin.